We started in Segovia by the N-110 direct to Riaza, the old medieval village of blacksmiths next to the river Aza and today prosperous mountain town that shows us the splendor that lived in the s. XVIII through the stately port and the numerous coats of his sturdy mansions, arranged around his portico Plaza Mayor and along its main streets. 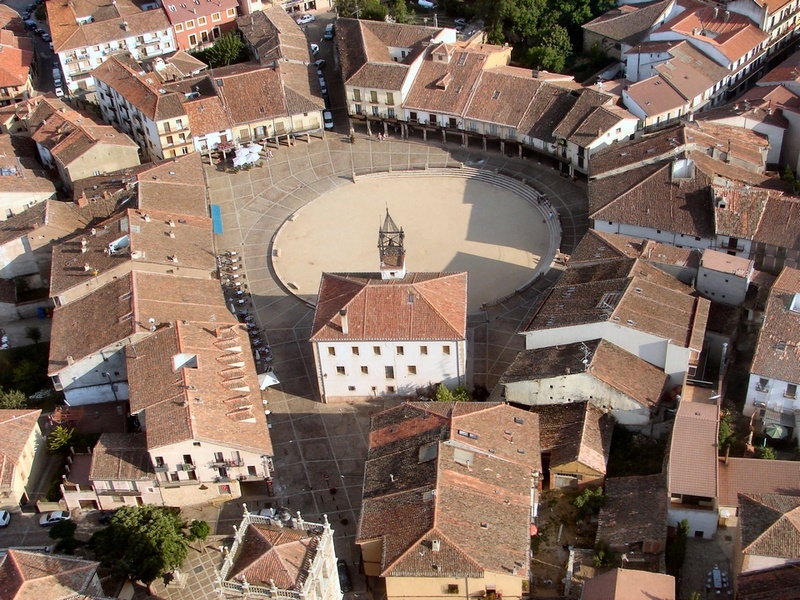 The square is peculiar due to its elliptical shape and its earth floor, used as a bullring during its festivities; The Town Hall presides over it and to one side stands the sober Church of the Virgin of the Mantle, with a valuable Baroque altarpiece inside and the beautiful image of the titular virgin. If we are passionate about trees, we take the SG-111 and SG-112 that takes us in 20 min to Riofrío de Riaza to delight us, especially in the autumn, with a brief but magical walk through the Hayedo de la Pedrosa, a relict of beech forest, unusual for its southern latitude. We return to Riaza to start our route of the colored villages, heading for the SG-V-1111 until Alquité and at the exit of this town we take the detour until Martín Muñoz de Ayllón, whose houses are built with white and golden quartzite, mixed with slate slabs, giving the whole village a harmonious yellow tone. Its slate quarries supplied the cathedral of Segovia and the Palace of La Granja. To the outskirts, framed by an overwhelming mountain landscape, is its church dedicated to San Martín de Tours. We return to I paid, another yellow town, to continue until Villacorta and letting ourselves be surprised by the change in color of the landscape, and the earth is acquiring a tinge of an intense red due to its ferruginous materials, which allowed for centuries the exploitation of its iron in small forges. 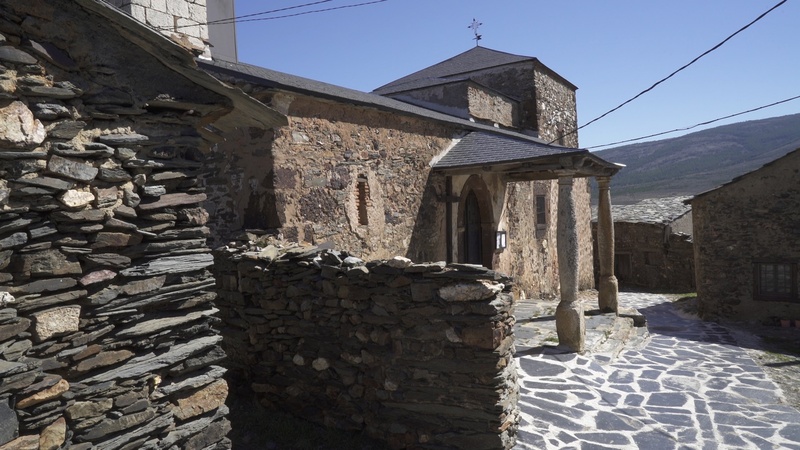 The houses of Villacorta are dressed in unison, with sands and reddish stones, around the Church of Santa Catalina; There is an atmosphere of quiet people who pamper their place. 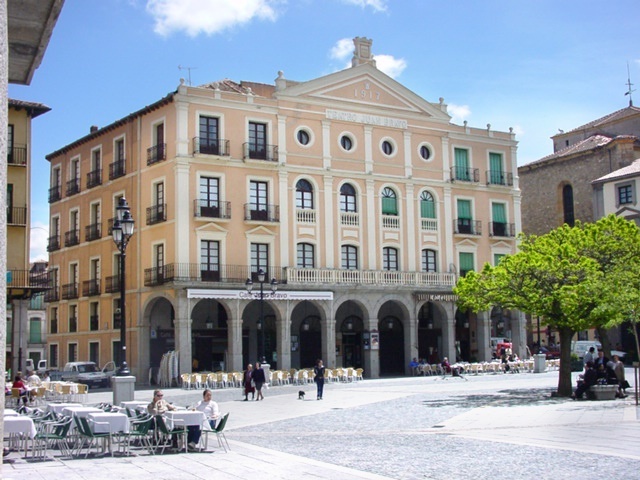 If we want to see a black town, we take now, as soon as we leave the town, the detour to Becerril, whose location, almost on foot, makes it a refuge for peace. Their tents and traditional houses with black and red stone walls topped by roofs of huge slabs of slate offer great interest, although several current buildings break their harmony. We return to the crossroads and from there we reach Burrow, reddish town preserved with great care and good taste, both in their homes and in their streets, which deserves a good walk and perhaps a regain strength in one of its premises. His church of the s. XVII is dedicated to San Pedro. To see a black town in its entirety we approach from here to The Muyo, made not only of slates both on walls and roofs, but the hamlet sits on a natural vein of said stone; only its Church dedicated to San Cornelio and San Cipriano stands out for its red tiles and the tall belfry. The place gives off a calm but at the same time also mysterious air. Following the same road, we will pass through The Negredo, another red town and already in Santibañez de Ayllón, we will find a picturesque village perched on a hillside and enjoying the freshness of the Aguisejo River, their houses gather all the colors. We take the SG-145 address Ayllon and, after 14 km, we arrive at this medieval walled town, with a beautiful reddish hue; we follow the wall of the old adarve until the Puerta del Arco, that just crossing it pleasantly surprises us the beautiful Gothic-Elizabethan Palace of the Contreras, we continue to the Castilian Plaza Mayor, with wooden arcades, which brings together the Palace of the Villena (current City Hall) and the Church of San Miguel, ancient synagogue, apse and Romanesque portal. A tour through its streets allows us to find the Bishop's Palace of the 13th century. XVI, the House of the Tower, the House of the Maidens, where Eugenia de Montijo rested, the Eagle House, until through the alleys we climb to the top of the hill and see at our feet the huddled hamlet, only broken by towers and cattails that calmly give the hours. Its old past of well fortified enclosure is attested not only in its wall but also in the remains of Arab origin, called "Los Paredones", located at the top of the hill, as well as the Torre de la Martina, belonging to the former Church of San Martín but used as a defensive tower. We get back on route to get in 3 km to Santa Maria de Riaza, small neighborhood of Ayllón, located on a hill from which they shine the stones of good stonework of its Church of the Nativity of Our Lady, of late Romanesque with robust porticoed gallery and beautiful cover of five archivolts. In its interior we are surprised by its valuable artistic treasures, such as a baptismal font carved with horseshoe arches, possibly Visigoth, a carving of a virgin from the 15th century. XIII and some paintings on tables within the linear Gothic. 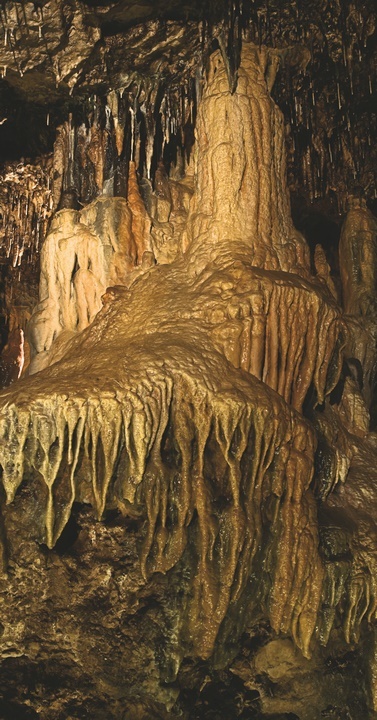 We're going to Prádena to submerge placidly in the wonderful acebal and sabinar, to the right of the road, or travel to prehistory and the center of the earth through the spectacular Cave of the Enebralejos.